So! You made that brilliant website like we advised you to over the past few weeks, yummy as a pastry, layers and all. And you proudly displayed it in your shop window through Search Engine Optimisation. But then you got busy with the sales, and there was no one to look after the website. Some bits started to crash; others got outdated; yet others became victims of hacking attacks. And business walked away. The reality is that most companies have their resources stretched just keeping the business up and running. And one of the first elements to get ignored is your website. But there really is a way to avoid hiring the extra staff needed to maintain your web presence. Outsource the work to outside expertise. Blasphemous as it may sound to your IT department, it’s really quite common. To rely on a simple analogy, you could hire a live-in maid to clean your house (and pay for her food, lodging, health, and vacations), or have a company send in someone once or twice a week, depending on how often you need them. And the part-time worker won’t have the time to flop down on your lounger and watch the morning soaps while she sips your finest sherry. You get the picture.Therefore, we will try to discuss the why, when, what, who and how of outsourcing. 1. You focus on your developing and driving, your core business and strategy while the maintenance company does, well, maintenance. A good web agency can often times achieve the same maintenance goals in a fraction of the time while also bringing in the knowledge of SEO and best practices. And of course, you won’t have to pay for healthcare, vacation time, unemployment insurance, and other costs and overhead associated with hiring employees, or for training new employees every time the last one leaves. 2. If web technology is not your strength, and/or you’re not up to speed with the latest trends in the search engine ecosystem, you’re better off leveraging the expertise of dedicated web consultants to maintain your website. The additional expertise you get from the dedicated agency on technology, graphic design, business writing, SEO and other expertise you may not have available in-house can only help you grow your business. 3. You protect your reputation, by letting the experts protect your website from hacking attacks. Frankly, you’re not equipped to keep track of all the file extensions on your site, and updating for security patches. Outside agencies, on the other hand, are intimately familiar with web security systems and regularly monitor for updates and maintain backups – keeping your site secure and your reputation in tact. 4. And finally, something we dedicated a whole blog to, SEO. Search engines continually update their algorithms and the competitive landscape is constantly in flux. If you’re not able to keep up with the latest trends in search engine optimization and make regular updates and additions to your site content, you’re effectively handing business to your competition on a plate. Outsourcing website maintenance helps you track your progress through web analytics, ensures ongoing SEO, and helps you get the most out of your website investment. Well, it really depends on the size of your business and where you are on the life-cycle curve. If you’re a bid to large-sized entity, and can spare a long-haired smoothie-drinking staff geek in flip-flops just for maintenance, you could potentially delay this decision, although growth needs would eventually still nudge you in that direction. But if you’re a small operation, you’re best served engaging outside support right away. It’s actually the old mantra of not being a control freak and delegating responsibility elsewhere. Your business can only grow if you have more hands doing the routine stuff while you do the strategizing. You might want to start out with a book-keeper, and/or a virtual assistant. As the business grows, you could then easily add-on the services of web designers, ghost writers, graphic designers and project managers – and all without the pain of the extra head-count. With a huge amount of talented people leaving corporate jobs (or so they tell their significant others) to start off as “free-lance consultants”, you’re spoilt for some excellent choice of outside services for almost any and every facet of your business. And it can get tempting. In all likelihood, you already do outsource some laborious or tedious operations, such as payrolls or background checks on job applicants. But just because you can, doesn’t mean you should. If it’s something critical to your core business, then you do not want to outsource. But if it’s not, then why in Sam Hill not? So take a cold, hard look (Clint Eastwood, anyone?) at your business and assess your core strengths. This is where you want to focus your talent pool and resources, to be the best in their industry. The rest you can pass on to someone else to do for a fee. Highly repetitive task such as accounts payable, data entry, or inventory management could be given to others to do, as could the IT support for these functions. In fact, once you have these pat, you’ll realise you don’t even need someone to supervise them. Unless you’re a bank or a mega-corp., you could even have a CFO-level person come in once a week to supervise and organise the book-keeper’s work. Imagine the savings from not having a CFO! D. Who to Outsource to. Now now! I know you’re salivating at the prospect of saving on some costs. But you must still remember, only Fools Rush In (not the Selma Hayek flick, the adage). It’s never been easier for you to find outsourcing services online, you’re still best served to ask for recommendations from your network of friends. As your banker or your lawyer or your accountant or even your peers who they feel could be a good fit. Worse case, talk to your local trade association; they’re fairly likely to give you some good names that are just right for your needs. Some online services such as oDesk, BidModo and eLance provide virtual marketplaces for businesses looking for contractors and likewise. Outsourcing agencies rely heavily on the citations of satisfied clients, and you can easily access to feedback from previous employers of said services. Irrespective of how you go about finding your service provider, they key step is for you to first know what it is you’re looking for. Conduct an appraisal of the functions you want to outsource, and determine appropriate performance matrices. Do you want speed or quality or both for the given task and who in the provider market can deliver the performance you seek. And now the fun begins! Never, never hire a service provider without a clearly drafted contract – not because your lawyer friends need to pay off their student loans – but because you want to make absolutely certain both sides unambiguously understand what’s expected, when, for how much and what the penalties for non-performance are. The service provider should deliver what you WANT rather than what they think you should want. Old industry hacks can get like that, believe me. So be very specific and detailed in your instructions, because service providers are usually not thinking what you’re thinking.And even when they are, it’s going to be a while before they’ve gone through the learning curve. But, being old industry hacks (ha! said it again), they will get better. And that’s when you should step back and let them get on with it so you can get on with growing your business! Now that takes trust, and if you’re like “Fox (Trust No One) Mulder” and feel compelled to micromanage them, you’re really missing the whole point of outsourcing, which is the savings you want to make in management attention! Keeping yourself indispensable to the business makes for a good movie script by Ron Howard, but if you’re carrying your entire business on your shoulders, all you’re going to carry away is the Oscar. Because you will have rendered your business un-scalable which, in the language of the Millennials, is an epic fail! F. Where’s the Bottom Line? Let’s now take out the calculator in your pocket – or your smart watch – and do some quick math.There is always a delicate high-wire act where you balance costs against quality, while the African lion of failure waits on the ground for you to lose your economic balance and land in his jaws of financial ruin. Contractors based in developing countries can be really inexpensive, but sometimes also equally inefficient. And being in remote legal jurisdictions, they may also be protected from any attempts by you for legal and financial redress. On the other hand, the closer you get to home, the more expensive they’re going to become. In my view, you could benefit from offering to pay what the service deserves irrespective of where it’s coming from, though you’re free to leverage currency differences in your favour. Stay focused on the outcome you’re looking for, and not on what you can scrounge out of the contract. You’re saving enough as it is by having outsourced in the first place. Once you’ve seen them perform in accordance with your contract (remember your lawyer friend? ), you could even go to 3rd base with them and transition to a fixed-cost retainer. One problem you could face with off-shore service providers – though increasingly less so –is the language barrier. It helps to find a service provider who has at least one person with a “native” language ability, to ensure that nothing gets lost in translation. On the other hand, time zone differences can sometimes work in your favour. Assign a task before going to bed, and find it ready as you pour milk over your breakfast cereal, effectively making you a 24-hour company.Just don’t assign anything to them when they’re having a traditional holiday, though. Another challenge you must always remain aware of is outsourcing your functionality in a secure manner, without putting employee personal information or client data at risk. Ask your lawyer to review their ISO 27002 Compliance Statement or their industry specific Data Security Standard compliance statement. And even when you’re satisfied, only ever hand over data that is absolutely necessary for the operation; nothing critical or super-sensitive, such as the identity of your clients, need ever go out. Or you may soon find your service provider has set up shop across the street and is now your competitor. Despite the risks, outsourcing is ultimately advantageous to you as a business owner. You are able to establish a team of skilled and already experienced professionals without having all the human resources issues and costs to contend with. It is an affordable, proven strategy for taking your business to the next level, without it taking over your life. 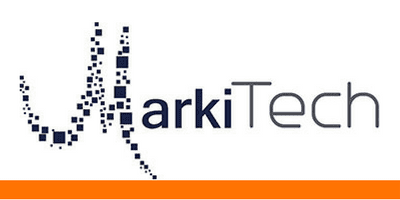 MarkiTech can cater to all your outsourcing need from website development and management to marketing. Why don’t you set up an absolutely 30 minute consultation with us so we can discuss your outsourcing needs?